Nothing you put on the Internet is ever really gone forever, so simply deleting his awful tweet isn&apos;t going to save Bulls.com beat writer Sam Smith this time around. 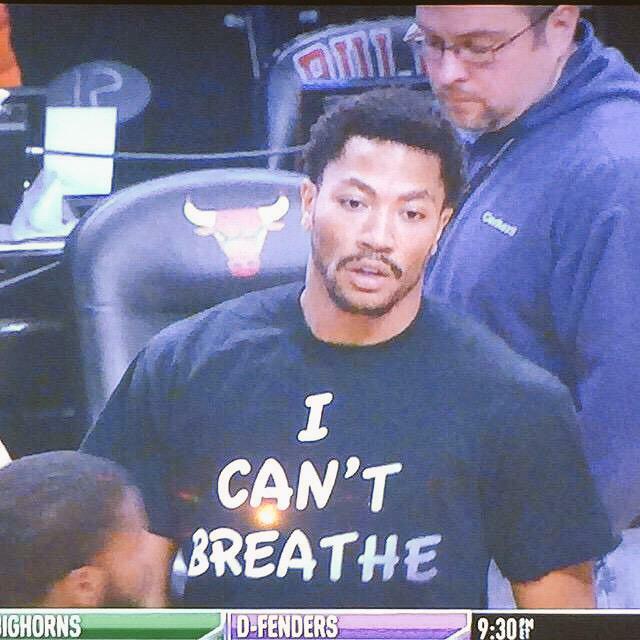 Derrick Rose wore a t-shirt with the words "I Can&apos;t Breathe" written on it before his team&apos;s game against the Golden State Warriors tonight, so Smith decided to take that opportunity and use it to make a joke at the expense of Eric Garner, who lost his life during a tussle with police. He tweeted, then quickly deleted, the tweet you see above, but not before it it was screenshot and began making its way around the Internet. We&apos;ll never know what people in the public eye are thinking when they say something so stupid, as Smith has over 51,000 followers on Twitter. Perhaps he had no idea what Rose&apos;s shirt was in reference to, but if that&apos;s the case, it&apos;s almost worse since he&apos;s a reporter and news is sort of his job. Either way, we can be sure Smith will be having a meeting with Chicago Bulls brass very, very soon.